This entry was posted in Uncategorized and tagged 10011 applied kinesiologist, 10011 chiropractor, 10011 chirorpactor, 10011 neuro kinetic therapy, 10011 neuro kinetics, 10013 applied kinesiologist, 10013 chiropractor, 10014 applied kinesiologist, 10014 chiropractor, 10014 neurokinetic therapist, 230 w 13th st. ny 10011, 455 W. 23rd St NYC 10011, aol.com, applied kinesiologist, applied kinesiologist 10011, Applied kinesiology, applied kinesiology practitioner, best applied kinesiologist, best chiropractor, best woman applied kinesiologist, bing.com, chelsea applied kinesiologist, chelsea chiropractor, chinese meridians, chiropractic, chiropractor 10011, cranial bone movement, Digestive health, downtown manhattan neurokinetic therapist, downtown nyc applied kinesiologist, Dr. Vittoria Repetto, female neurokinetic therapist, google.com, http://www.facebook.com/pages/London-Terrace-Chiropractic-Applied-Kinesiology/109622855768202, http://www.opencenter.org/listings/, jaw pain, london terrace chiropractic, london terrace chiropractic & applied kinesiology, manhattan neuro kinetics', msn.com, NYC Applied kinesiologist, NYC chiropractor, nyc neuro kinetics, open center practitioner directory, stomach, TMJ, TMJ problems, west village applied kinesiologist, west village applied kinesiologist nyc, west village chiropractic, west village chiropractic nyc, west village chiropractor, west village neuro kinetic therapy, woman 10011 applied kinesiologist, woman 10011 chiropractor, woman applied kinesiologist, woman chiropractor, woman neuro kinetics, woman nyc applied kinesiologist, woman nyc chiropractor, www.bing.com, www.drvittoriarepetto.com, www.drvittoriarepetto.wordpress.com, www.twitter.com/drvrepetto, yahoo.com. Bookmark the permalink. 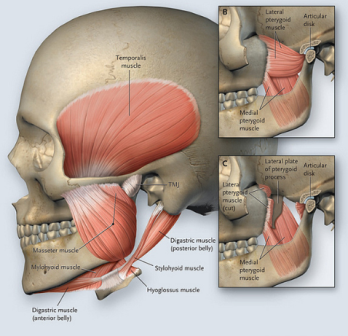 what do you do to a tmj jt that is severely deteriorated bilaterally???? ?